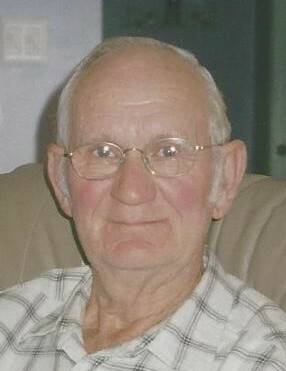 Marvin Walter Davis, 88 of Gainesville went home to be with his Lord and Savior on Sunday April 7, 2019 at the Northeast Georgia Medical Center following an extended illness. Born in Hall County, Mr. Davis was the son of the late James Otto and Dezzia Davis. He was retired from Gainesville Mill. Mr. Davis was a loving husband, father, grandfather and great grandfather who loved to spend time with his family. Other than his parents, Mr. Davis is preceded in death by his wife, Vera Mae Davis, daughter Kathy Davis, sisters, Ethel Mobley and Jo Evelyn Farr; brothers, James Davis and Norman Davis. Survivors include his daughters and sons-in-law, Leisha Grizzle, Gail and Wesley Wacaster, Jan and Kevin Pool, Tina and Greg Hope, all of Gainesville; grandchildren, Blake and Kim Wacaster, Hoschton; Dustin Wacaster, Jodie Wacaster, Brice Hope, and Abbey Hope, all of Gainesville; great grandchildren, Aiden Wacaster, Hoschton; Blakely Wilson, Brinley Wilson, and Carsyn Wacaster, all of Gainesville; sister, Cecil Buffington, Gillsville. Funeral services will be held at 1:00 p.m. Tuesday April 9, 2019 in the Little & Davenport Funeral Home Chapel. The Rev. Rodney Pilcher will officiate. Interment will follow in the Mill Creek Baptist Church Cemetery in Lumpkin County. The family will receive friends at the funeral home Monday April 8, 2019 from 4:00 p.m. until 8:00 p.m. and again Tuesday from 12:00 p.m. until 1:00 p.m.